Clever designs will help you achieve the perfect balance between these two layers of lighting in your home. We make our way through key areas of the home, detailing where certain lighting features can help create the right lighting atmosphere. As open-plan living has increased in popularity, the kitchen has become more than a place where we just prepare food; it’s a communal meeting place for friends and family to gather as well as a place for hosts to entertain. The open-plan trend has seen huge growth in recent years. Through open-plan homes, the main living spaces of the home are created in an open and flowing manner; fewer dividing walls split up these spaces. Typically in an open-plan living area, the living room, kitchen, and dining space are encompassed in a single, open space, creating social living. The “kitchen” can also include eating and living spaces so it’s important that these areas are not only well lit for preparing weeknight dinners, but also aesthetically pleasing for entertaining friends on a Saturday night. Dimmable lights are a versatile choice for most rooms in the home. Use bright lighting when preparing meals (task lighting) and adjust the strength when eating or socialising (accent lighting). Down lights sit flush with the ceiling, eliminating any shadows or glare. Choose from cool or warm globes to illuminate a communal space like the kitchen. LED down lights can cut your power bill and last up to 20 times longer than halogen lighting! Find out more benefits of LED lighting in this blog post. Under-cabinet lighting illuminates bench tops that are otherwise partially blocked from good lighting by the cabinets above them. This lighting, also referred to as strip lighting, creates a bright, friendly, welcoming atmosphere in a kitchen space. Pendant lights can look striking over benches, but the most important rule to remember when searching is to measure! Kitchen designer Vagn Masden explains you should not buy pendant lights “without first checking the size by creating a mock-up”. Getting the sizing right will be the difference between finding lighting that complements a space and lighting that looks three sizes too big for a space. The bathroom is one of the busiest rooms in the house, with each member of the family using it for a variety of tasks throughout the day and night. Just like in the kitchen, bright and clear task lighting is required for tasks like shaving or makeup application. This type of lighting should be close to the mirror rather than behind (where you risk unappealing shadows). 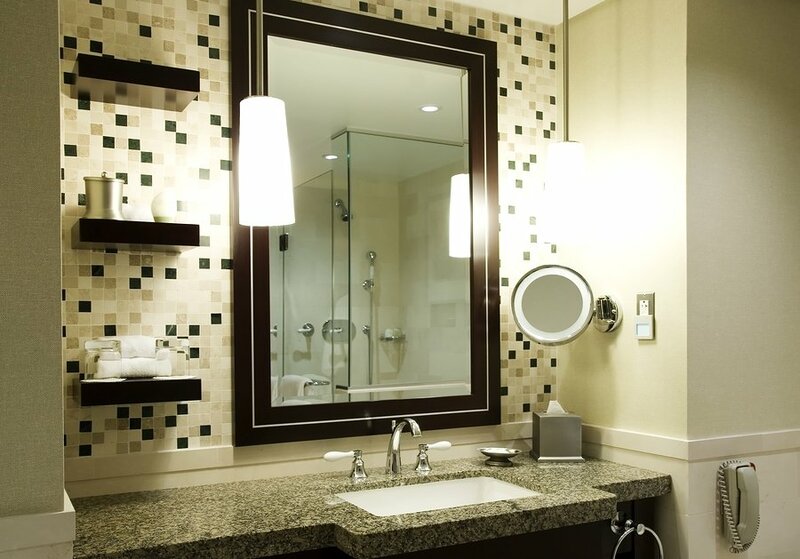 Avoid putting lights above the mirror; rather, keep them closer to eye level. That addition of a small pendant light can transform an otherwise standard bathroom into a little slice of luxury at the beginning or end of your day. Your electrician will ensure your bathroom fixture adheres to the specific electric codes and regulations. It’s recommended that you have at least one ceiling-mounted light fixture to provide general lighting. Don’t forget about exhaust fans – along with your lighting, an exhaust fan must be installed in your bathroom. The aim of an exhaust fan is to boost ventilation and as such remove the risk of mould in the bathroom. Traditional, contemporary, and modern living spaces – while different in styling – all require clever lighting designs to best optimise ambiance and functionality. Ceiling lights are an automatic default, as designer Shannon Vos explains, people go for down lights as “there is a lot of open ceiling space”. However, as Shannon suggests, you should also look at other options that allow you to highlight different zones and heights, creating layers. Track lighting can follow the lines and angles created by furniture. Think an L-shaped couch with track lights above. It can also be used to highlight wall art or photographs. A single standout piece, like a pendant or chandelier, can be a feature unto itself. 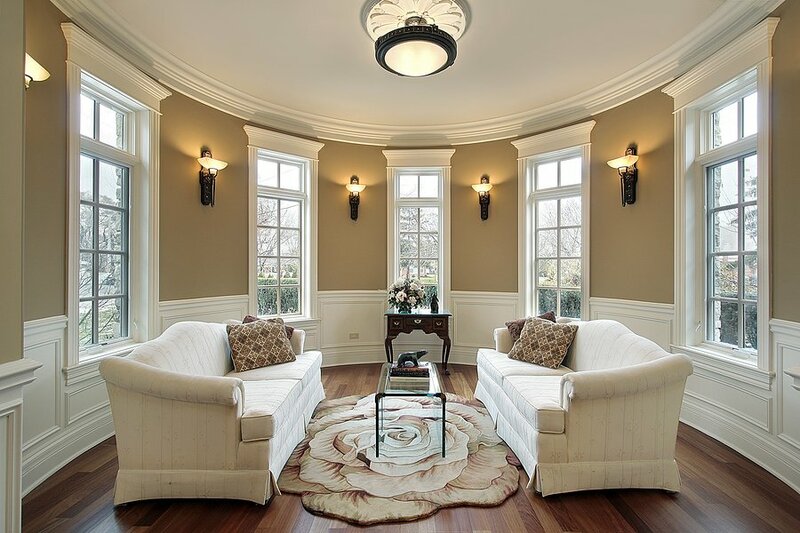 Wall lights or sconces highlight features and can help to eliminate dark and shadowy corners. When the light is built-in to the fan, you instantly double the features. Did you know that a ceiling fan can cool a space during summer and heat a space during winter? Find out more about the dual effect of ceiling fans in this blog post. Again, dimmable features help you adjust lighting needs depending on the time of the day. The ability to dim lights is particularly useful in the bedroom, where we spend time winding down at the end of the day. Consider having a dimmable functionality on your main, ceiling-mounted light. Are you a bedtime reader? Bedside lighting can be a lot gentler that ceiling lights on the eyes as you prepare for bed, while simultaneously providing adequate lighting when you’re squeezing in a few chapters before bed. Sconces are a great alternative to floor lamps, particularly for small areas where floor lamps can take up valuable space. Sconces look great when they bookend a bed, or can be used to highlight a piece of wall art or photograph. There are so many lighting paths you can follow, depending on the ambiance you want to achieve as well as the size and layout of a specific room in the home. 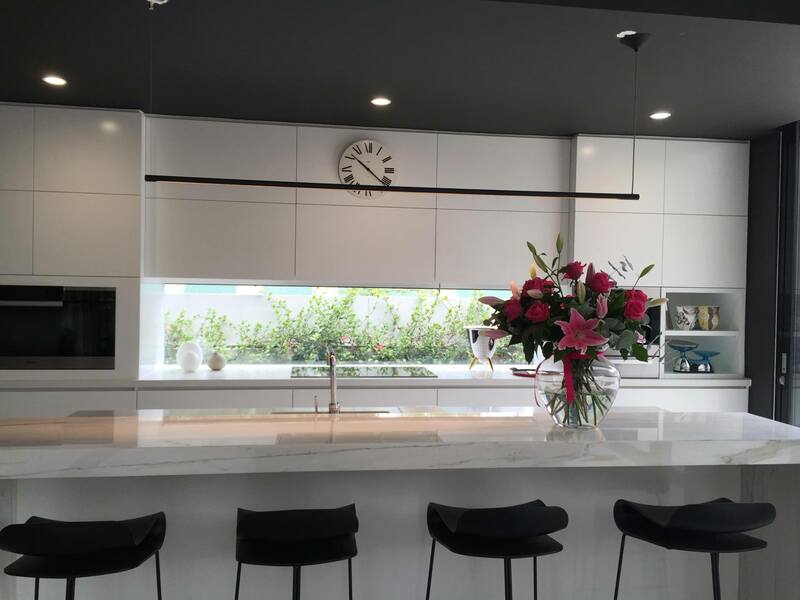 If you’re thinking about a renovation or about to embark on a new build, let Briggs Electrical design and implement the right lighting strategy in your home. Contact us today!